Underlining the growing importance of e-commerce in a barrier-free global economy, DHL Express in a report last week described cross-border e-commerce as “one of the fastest growth opportunities in retail,” while a few days later its U.S.-based competitor FedEx Corp launched FedEx Fulfillment, an e-commerce solution for small and medium-sized businesses. The DHL Express report - "The 21st Century Spice Trade: A Guide to the Cross-Border E-Commerce Opportunity" - predicts that cross-border retail volumes will increase at an annual average rate of 25% between 2015 and 2020 (US$300bn to US$900bn), which is twice the pace of domestic e-commerce growth. Online retailers are also boosting sales by 10-15% on average simply by extending their offering to international customers. In a statement, Memphis-based FedEx said that its FedEx Fulfillment, created by third-party logistics provider FedEx Supply Chain (formerly GENCO), will help businesses fulfill e-commerce orders, as well as manage inventory for retail stores. 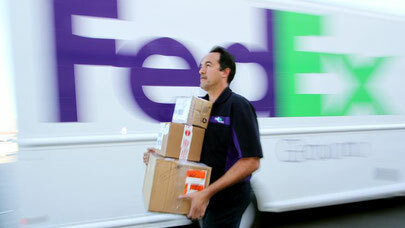 FedEx Fulfillment customers will have an easy way to track items, manage inventory and analyse trends. It will also have one of the industry’s latest same-day fulfillment cut-off times, two-day ground shipping to the majority of the U.S. population, and the capability for hassle-free returns, the company statement said.